Storm Faerywolf is a professional author, experienced teacher, visionary poet, and professional warlock. 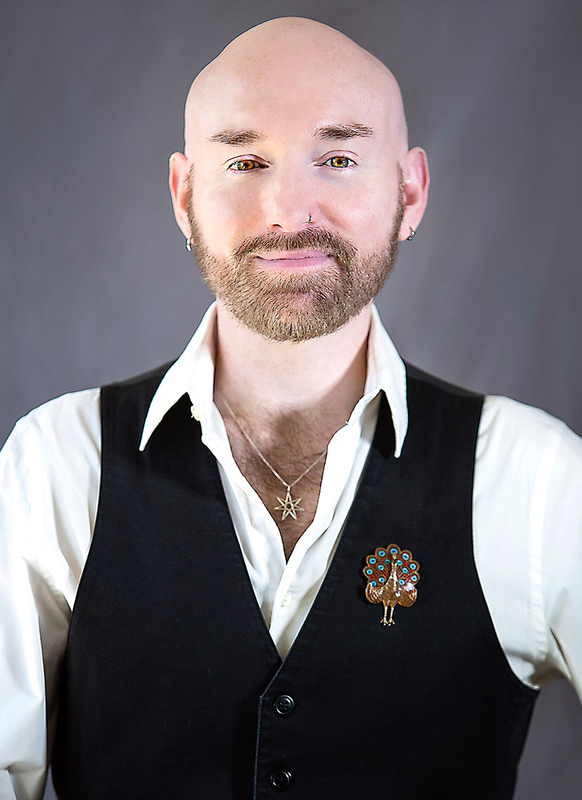 He is co-owner of The Mystic Dream, a spiritual supply and bookstore where he teaches and offers spiritual and magical services to the public. He has been practicing witchcraft since 1985 and has been an initiate of the Faery tradition since 2002. 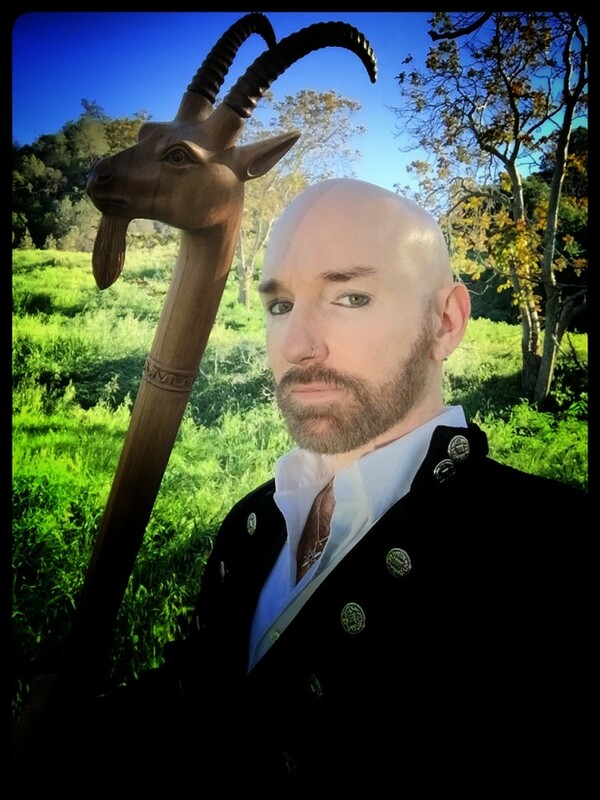 With over thirty years experience practicing and teaching the Craft, he holds the Black Wand of a Faery Master, and is the founder of his own lineage of the tradition, BlueRose which offers extensive personal training both in-person and online. He is a founding teacher of the Black Rose Witchcraft online school and travels internationally teaching the magical arts. He is the author of “Betwixt & Between: Exploring the Faery Tradition of Witchcraft”, “Forbidden Mysteries of Faery Witchcraft“, and “The Stars Within the Earth”. 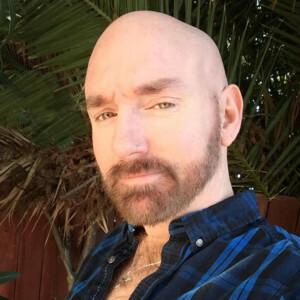 His work has been featured in magazines, blogs, and podcasts, most notably Modern Witch, where he is an occasional a co-host. For more information visit his website at Faerywolf.com. My name wasn’t always my name. The Mother Wolf stands just outside my normal awareness… a guide from the dreamtime who heralds the changes that are to come for me. To see Her is to be filled with reverence. On all fours I danced and leapt up the moonlit mountain to stand at its peak, singing softly to the night. My wolf body feeling both strange and familiar… a reminder of the vision, as well as the work that is to be done. I dreamed… the spiraling winds, their torrent of tremendous force, made their way from the outer darkness, to pluck me from the dreaming lands, to make our powers one. Like the faery changeling, I shift —my moods and morals are as changeable as this weather— and like this storm I churn emotions, and rain tears, and spit fire. I am swept up and tossed; a struggling thing inside of chaos. With no hope of escape I surrender my will to the tempest, revealing this one calm moment of simplicity. I lay open to the starkness of eternity, unwrapping textures of moment and place from my thoughts, discarding the garments of fixation. Clothed in the Void I claim my power. Cleansed by water & earth, charged by fire & air, blessed by spirit. As part of my personal practice and commitment to being a full-time warlock and priest of the Craft, I legally changed my name in order to include the magical element, and so I am reminded that this is first and foremost who I am: a public priest of the Craft. I have been a practicing warlock for over 30 years. As a child I was raised on stories handed down in my family; the Irish tales of the little people. I knew that beyond what our eyes told us there was something more… sometimes wonderful, sometimes terrifying, always powerful. My quest for spiritual knowledge most certainly began back then, as a small boy watching the skies, looking at the stars and wondering if the forces that drove the wheel of the universe were watching back. In my early teens I found my first real taste of Witchcraft in the form of books found at my local library, and at 14 I formally dedicated myself to the Craft in a ritual of my own design. Diana, Goddess of the Moon shone down upon me, her silver light underscoring the palpable darkness in which I found the presence of the Horned God. Finding Witchcraft to be a system that is very flexible (a great source of its power, I believe) I began to experiment with different techniques to achieve deeper states of awareness. Almost immediately I became aware that human beings could channel forces beyond those of the everyday. I then was able to remember times when, as a child, I would spontaneously project my consciousness to other places, or would suddenly find myself able to peer into realms just beyond our own, and sometimes speak to the inhabitants there. These experiences, which have continued seemingly randomly well into adulthood, have shaped who I am and how I look at the Pattern: the Living Web that is the Universe. Over 25 years ago I began training in the F(a)eri(e) Tradition of witchcraft, a tradition that is mainly taught orally. Unlike most other forms of the Craft, Faery does not seek to define experience in terms of a heterosexual psychological model. It is a path of ecstasy, in all it’s forms, as well as a balanced one; light and dark are equally embraced which fosters a fierce sense of personal responsibility that is the beginning of the warrior ethic so important to our tradition. Through my work in Faery I have seen sights both joyous and horrific, leading me always to a deeper understanding of my Self and my relation to the Universe. For this reason the Faery tradition holds a power unlike anything else I have known. It is a path that beats in my heart. After years of intense training I am honored to call myself a Faery initiate, witch, mystic, warlock, and priest. I hold the Black Wand of a Master Sorcerer, an honor that was ritually conferred upon me by several initiates from different lines of the tradition, most notably Feri Grandmaster Cora Anderson. I am also the founder of my own line of Faery, BlueRose. I teach classes and workshops across the US and around the world, was the editor of Witch Eye: A Journal of F(a)eri(e) Uprising, and I offer Faery training, both in the Bay Area as well as long distance. I am a professional spiritual reader and conjuror/sorcerer offering both readings and magical consultations to clients to assist them with life’s challenges. I am also an ordained minister. In addition to my magical pursuits, I have been interested in alternative and spiritual healing modalities my entire life. I have been a Reiki practitioner since 1996 and am a certified Reiki Master/Teacher offering both sessions and attunements at my store, both publicly and privately. I am the founder of BlueLotus, a school of Reiki that incorporates other spiritual and magical practices. I have approached the Reiki practice as a foundation for the exploration of psychic and intuitive healing techniques which are always evolving in my personal practice. I live with my husband, Chas, and our partner Devin in the beautiful San Francisco Bay Area. There are others to whom I have opened my heart and who have, in turn, mirrored that love back to me. Some have moved on, and others remain close by. I am truly blessed to have known and loved each of them and am thankful for the gifts that I have received because of it. The Blue God has smiled upon me. I thank Him every day for the precious gift of love in my life. I live with two dogs, a couple cats, several birds, some fish, and a few plants. 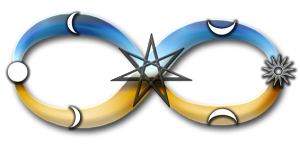 In addition to my personal spiritual pursuits, I also own and manage a spiritual supply store in Walnut Creek, CA, The Mystic Dream, where I teach. I listen to music. I write. I meditate. I make art. I read. I dream. I laugh a lot.